Home / News / Gold Price: Is Gold Bucking Historical Trends? Oliver Temple looks at why the gold price is currently – on the surface – seeming to buck historical trends. When Lehman Brothers collapsed in September 2008 demand for gold dramatically increased. As we’ve seen since we began trading in 1981 – financial turmoil often leads wise investors to buy more of the precious metal. That’s because gold is seen as a safe haven, protected from economic fluctuations. All the indicators were there this time that gold would rise again sharply this week with Greece teetering on the brink of leaving the Eurozone, Chinese authorities propping up falling stocks, and in the UK the first Conservative budget being delivered since 1996. Yet gold prices have not risen generally as fast as predicted and it has puzzled many global analysts. So what is going on? 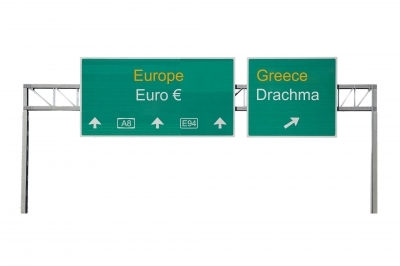 We are very much in unchartered territories with Greece and no one knows the impact – if they do leave the Euro – their departure will have on the rest of the Eurozone countries. The UK has made contingency plans – like other countries – if there is a Greece exit and this could be giving investors some comfort. For China – investors have been selling gold there more than buying, to cash in on falling stocks. There is also the possibility that investors there do not have the funds for buying gold. These are probably the two main reasons why the price for the precious metal has been depressed in China. In the U.S., the stronger U.S. dollar and higher interest rates expectations may be keeping interest in gold – a zero-yielding asset – contained. I think it is too early for UK investors to decide the impact Wednesday’s budget will have for them. Initial reaction is that the budget seems to have generally been welcomed on most sides. The fact that we have not seen gold prices rising dramatically as we have seen before, I suggest, is because investors are in the main simply waiting to see how the impact of a possible Greece exit will affect the Eurozone. For some wise investors, now may well be the best time to buy the precious metal before the next possible gold price rise. You can keep up to date with the precious metal’s performance here by signing up for gold price alerts. Please share this article by clicking on the buttons on the left.